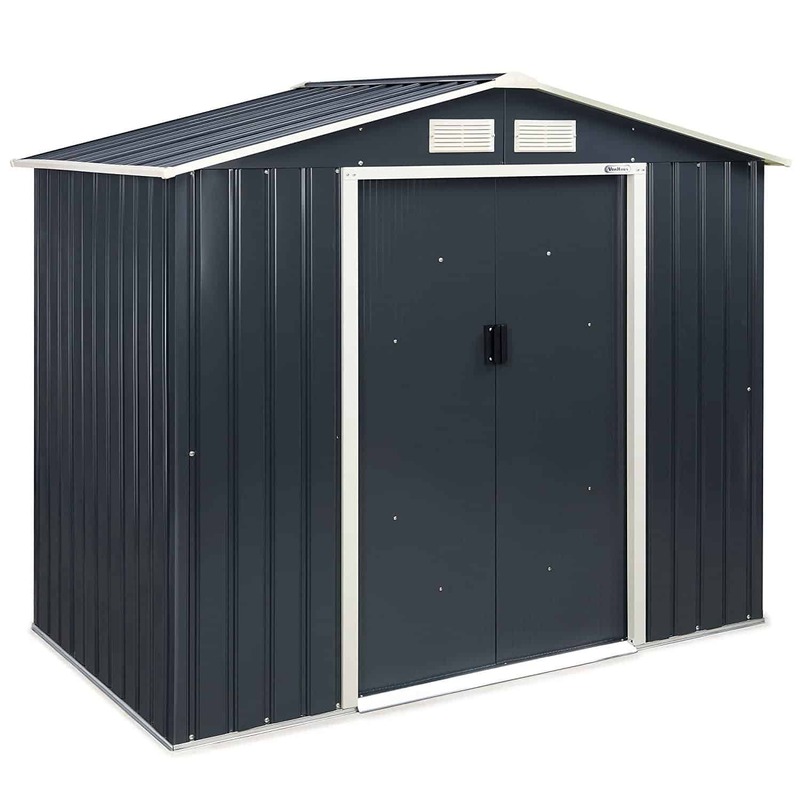 This VonHaus 7ft x 4ft metal garden shed is a great sized shed, featuring ventilation, no windows for privacy and security, double opening front doors and a solid weatherproof metal construction. 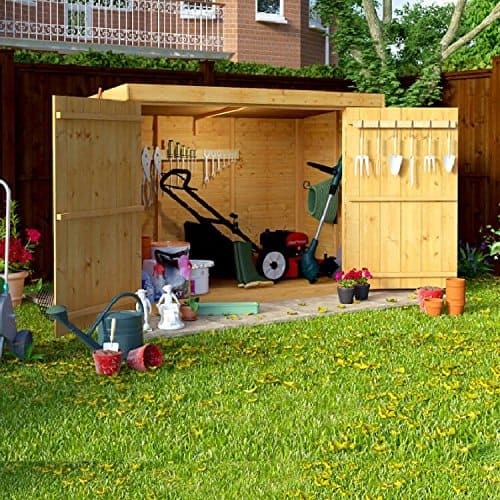 We like the size offered by this shed, it provides ample room thanks to it’s 7ft length without taking over the entire garden thanks to it’s 4ft depth. There is plenty of head room with the 6 foot height to the shed. Another great feature this shed has to offer is the ultra low maintenance. 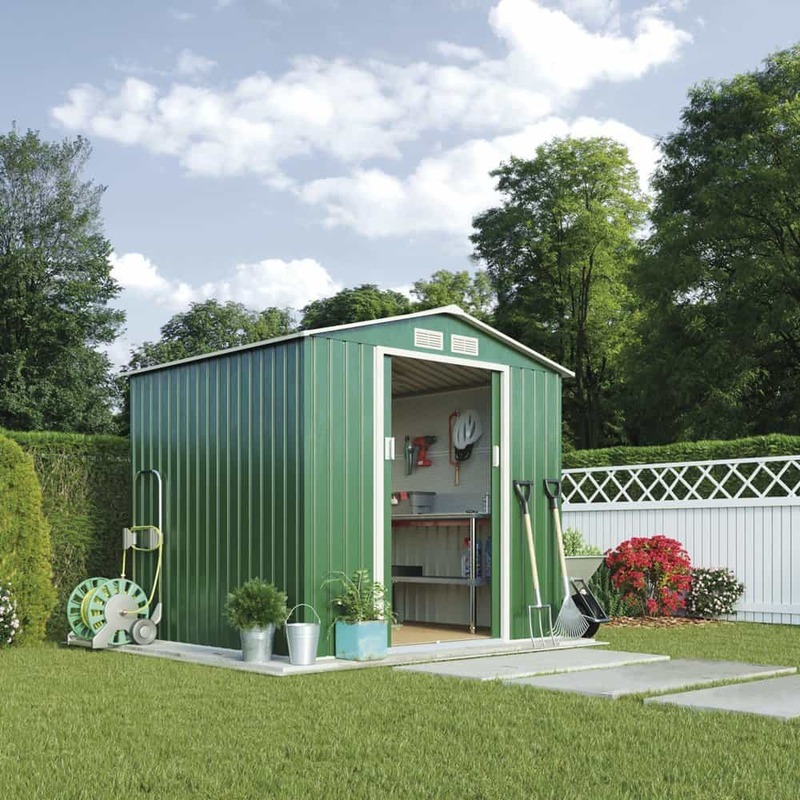 Metal sheds are great for this and this model from VonHaus is a great example. No need to treat or paint them, just a quick rinse down each year should keep it looking as good as new for years to come. One of the things we have put on the negative list of features to this shed is the lack of light entering the shed. This is something that we argued about here at Garden Shed Reviews. It is a great benefit to have lots of natural light rushing into your shed via Windows or Skylights, similar to the ones offered by the Keter Factor Outdoor Plastic Storage Shed. The shed can easily have a bracket and padlock attached providing extra security, or you can make use of the hole in the built in handles to attach a padlock with a slightly elongated clasp on it. 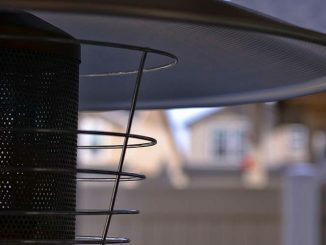 One of the main features we like about a metal shed is breaking into it tends to make a great deal of noise, this is something that gives us great piece of mind. 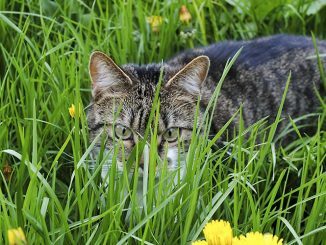 If someone has to make a lot of noise to break into our shed they are less likely to do it than say a plastic one that they can simply pop a window and be in quietly and quickly. 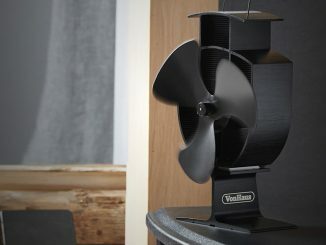 VonHaus make a wide variety of products, from power tools to sheds. We have reviewed some of their power tools over at our sister site Tools Review, what we can say about the brand is they make good quality products at budget prices. This 7ft x 4ft metal garden shed is comparable with much dearer models from brands such as Walton’s. 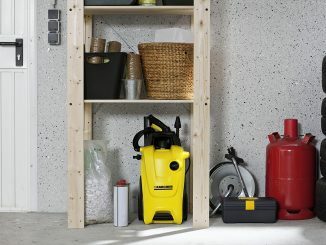 Whilst it may be lacking some of the features or brand recognition the build quality is comparable and we really do like what VonHaus have to offer. Once the shed has been built, give it a good wobble by taking a firm hand to each corner of the shed and the centre of it. You will soon see how all the components you have spend time screwing together work together to create a great shed that is a pleasure to use. 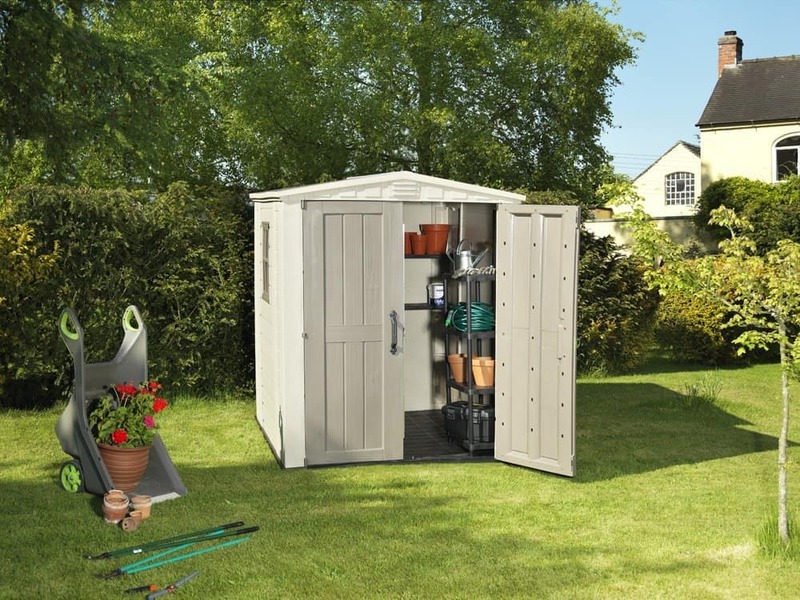 VonHaus offer a 2 year guarantee by simply upgrading the warranty online once you have purchased this Metal Garden Storage Shed. It is easy to do and well worth it. After 2 years you should know if you are going to have issues or not and with it being a metal maintenance free storage shed it should last you well into the future. We are sure you will not need to use the warranty, but should you do you have the piece of mind. 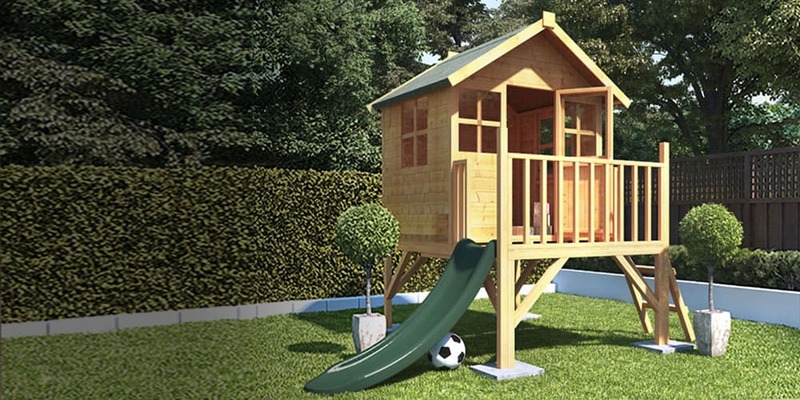 Building a shed or garden building of any size requires you to get your base level first, lay out all the components of the shed, check them off against the instructions and allowing plenty of time for construction. But there is more to it than that. We always recommend getting a friend in to lend a hand, provide moral support and make the tea with any shed build. We feel that the most important type of shed for having a friend on hand to build is a metal shed. The reason being before the shed is fully built the panels can blow around a little in the wind, they have pre-drilled holes that need lining up when driving screws and bolts in place and it can be hard to support two panels and fasten them together all at the same time. The instructions that come with the VonHaus metal garden storage shed are very detailed, a little long winded, but we would rather that than be left scratching our heads on what they meant. If you follow them to the letter you will be up and running in no time. A set of pliers and an adjustable spanner, this helps fasten nuts and bolts. A knife to open any packaging. A range of screwdrivers, there is often several sizes of screws. An impact driver to speed up the process. Speaking of impact drivers, if you are considering getting one for any DIY related task, a good time to pick one up is when you are looking at a project like building a shed, it will speed things up no end. Our sister site Tools Review has a great review looking at the top 5 impact drivers of the moment. Link below. VonHaus is a budget brand, but it isn’t budget quality! This shed whilst lacking a little in the height department is a great shed, that stands up to the weather, the wobble test and requires very little maintenance. 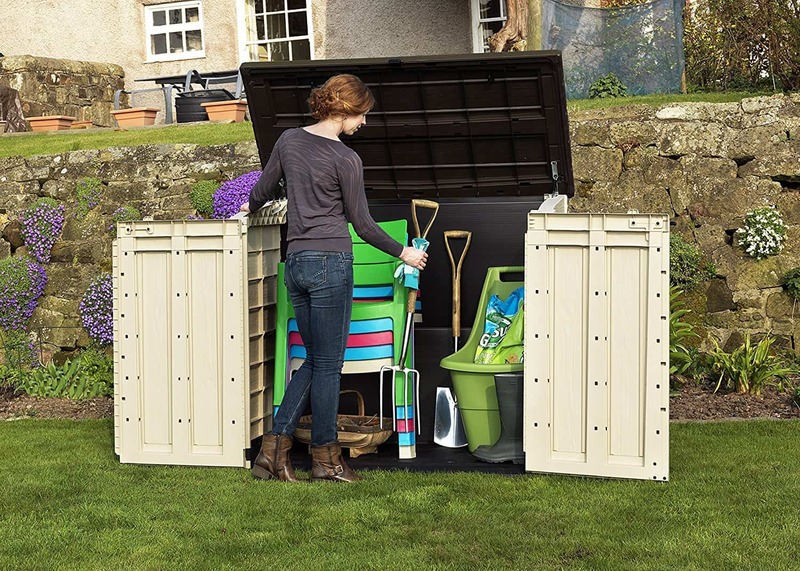 This VonHaus metal garden storage shed, provides plenty of storage space with it’s 7ft length, without taking over your garden thanks to it’s small footprint of being only 4ft deep. We really like this shed and are happy to recommend it.